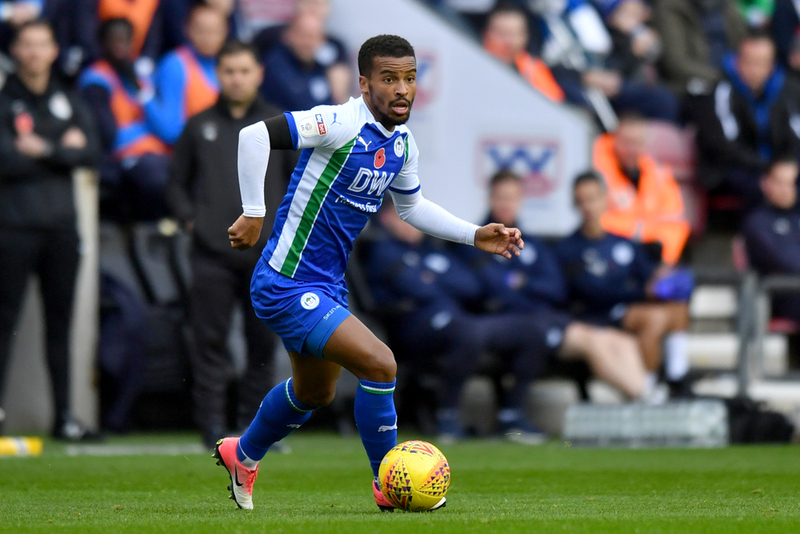 A man from Sheffield has been arrested after a disgusting racist message was sent directly to Wigan Athletic footballer Nathan Byrne on Saturday. The 20-year-old, from Sheffield, was arrested by the authorities after he handed himself into Blackpool police station on Saturday evening following the Latics 2-2 draw with promotion-chasing Bristol City. Lancashire police confirmed that the culprit had handed himself in and was subsequently detained on suspicion of a racially aggravated public order offence and malicious communications. A police statement read: "The man has since been released under investigation pending a charging decision by the Crown Prosecution Service"
After Byrne scored a last-gasp equaliser to rescue a point for Wigan at Bristol City's Ashton Gate, a sickening message was sent to the 26-year-old via direct message on Twitter. Byrne shared the screenshot with his 13.9k followers which prompted his employers, Wigan Athletic, to immediately report it to police. Unfortunately this incident was just one of several to occur over the weekend, as Brentford confirmed that a season-ticket holder was arrested after he racially abused Derby midfielder Dwayne Holmes. Several players from Northampton Town were also allegedly subjected to racial abuse prior to their match against Notts County on Saturday. The Football League said they were left "saddened, disappointed and angered to hear of further reports of alleged racism". A file has been passed to the Crown Prosecution Service.